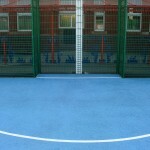 Basketball court fencing can come in a variety of different specifications, some more suited to the sport than others but each offer great qualities that can help create and design the perfect court for you. We supply a number of product designs ranging from simple designs to more robust options depending on your budget and requirements. Send over your details through the simple contact form on this page and we’ll get back to you as soon as we can. 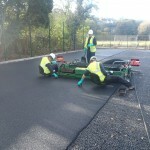 One of our experts will be able to price the work for you and help you choose a suitable design which is cost effective. The most popular and sturdy type of fencing that we offer is the super rebound fencing, this is made from steel wires that create a metal mesh fence which is extremely tough and durable enough to absorb strong impact. 8mm double wires extend horizontally across and a 6mm wire goes up vertically, this gives the maximum strength a fence can have, ensuring the longevity of the pitch. 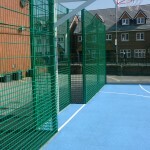 The product life of the pitch is increased due to the security measures the basketball court fencing provides, this way no vandals can get onto the surface and cause damage that may have to result in costly repairs or resurfacing jobs. 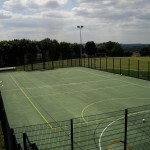 The super rebound fencing is ideal for sports such as basketball and football where the ball could impact the fencing causing damage, whereas standard chain link fencing would eventually become worn out and prone to breakages, making the overall facility look run down and uncared for. 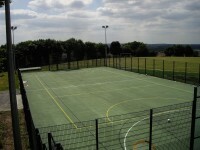 You can also have ball stop netting installed along with the fencing; this will minimise the chances of balls going off the surface and get damaged or lost, ultimately saving money and a lot of time and frustration. 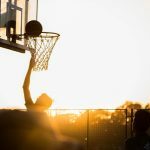 Basketball surface fencing costs will vary depending on a few factors, the main one being the actual size and dimensions of the court in question – obviously the bigger the court the more fencing needed, meaning it’ll be more expensive. 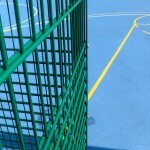 The different basketball court fencing specifications also vary in price, the type of fencing you choose could be something to compromise on if you need to cut costs and stay within a budget. 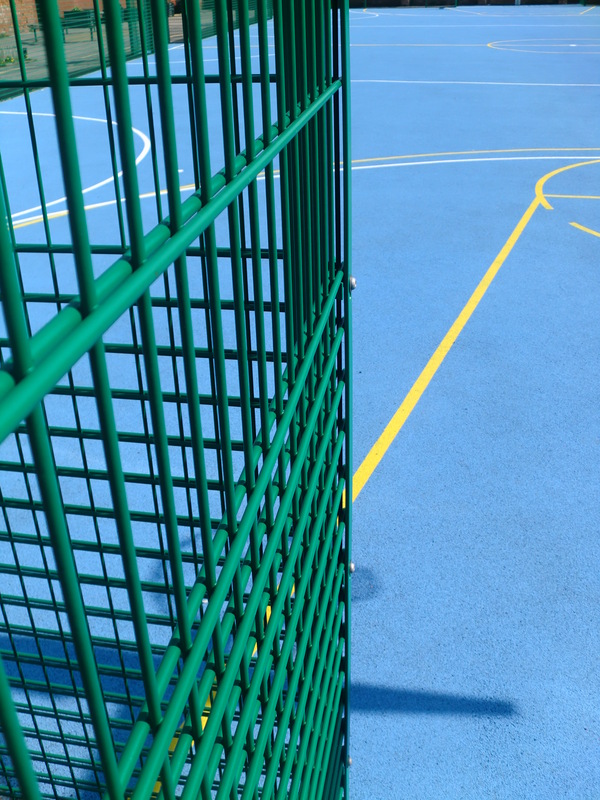 However fencing can also be seen as an investment, if vandals manage to get onto to basketball surface, they could cause a lot of damage that would ultimately prove to be very costly to deal with if repairs and resurfacing need to be carried out. Another factor which can have an effect on the price of the final basketball fence product is the height in which you would like the fencing to be, we offer 3 meters, 4 meters and 5 meters fencing height, the most popular being 3 meters. If you have a tight budget you can easily change the specification of the fencing to fit within your limits. We strive to be as flexible as possible to give you the opportunity to stick within your budget but also give you an excellent product and a great value service. 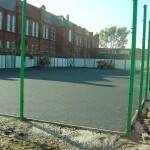 As experienced contractors we have worked with numerous schools, colleges and clubs in the UK to supply these products. 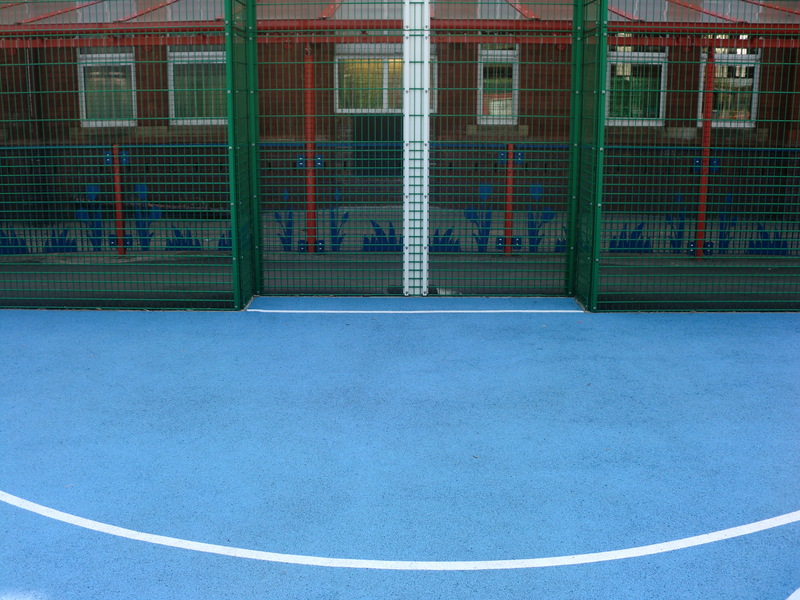 We understand that every sports facility is different, and this is why we are able to customise the designs for fences and other equipment. 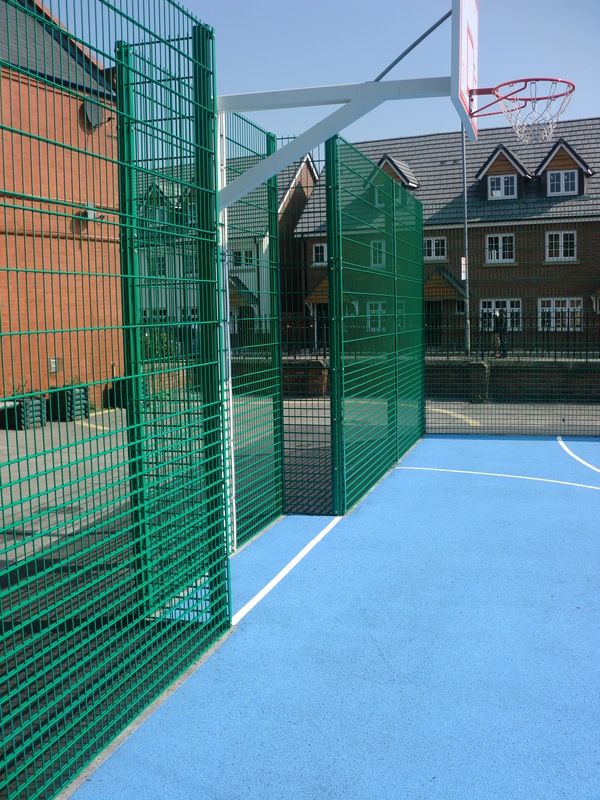 Get in touch with us today if you’d like to discuss the costs for basketball court fencing and one of our specialists will respond as soon as possible. We’d appreciate it if you could give us as much detail as possible about your existing facility including the measurements, location and ground conditions. This will make it easier for us to give you a cost effective quote.